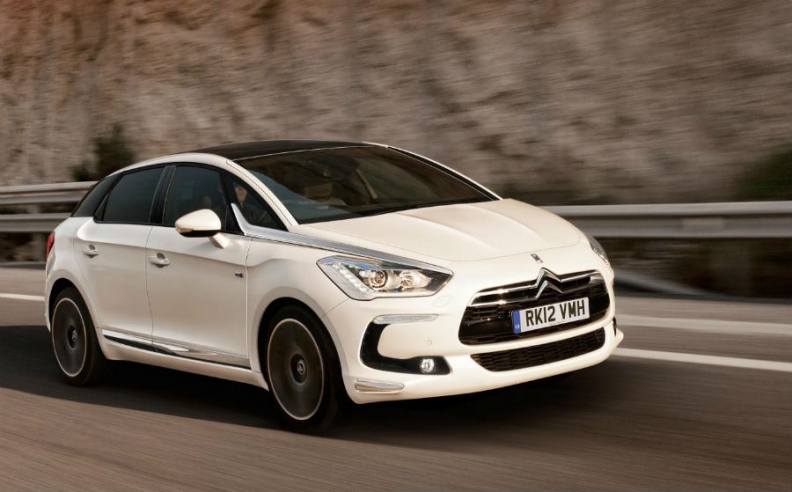 France's President Francois Hollande will drive to his inauguration in a diesel-hybrid version of the Citroen DS5. PARIS -- Francois Hollande, France's new president, will give PSA/Peugeot-Citroen a boost when he arrives at his inauguration on Tuesday in an upscale Citroen car. But observers expect relations between domestic automakers PSA and Renault and the new Socialist head of state to deteriorate fast. PSA may be forced to close factories in France as the company struggles to make money in Europe, where automakers build too many cars for an ever-decreasing number of buyers. Renault may follow. "The honeymoon will be very short if there is one at all," said economist Denis Ferrand, managing director of Paris think tank COE-Rexecode. "The decline in France's industrial competitiveness is the fundamental issue facing Hollande, and it's particularly impressive in the auto sector." The week before his May 6 victory over center-right incumbent Nicolas Sarkozy, Hollande said companies that had postponed job cuts until after the election should think again. "We're not going to let our arrival be the trigger for redundancies," he told French daily Le Parisien. "We won't accept them without reacting." In a document leaked last June, PSA executives had outlined plans to close the Aulnay plant near Paris, which builds the Citroen C3. PSA warned that an announcement would be impossible before the election due to political sensitivities. PSA CEO Philippe Varin later acknowledged that Aulnay's future was in doubt beyond 2014, while insisting no decision had been made. "There's a European problem with overcapacity," PSA spokesman Jonathan Goodman said, declining to comment on individual sites. "We and other manufacturers have to look at the various options." As soon as one major European automaker announces closures, others including Renault are likely to be forced to follow, the carmaker's CEO Carlos Ghosn said in March. PSA, a distant number two to Volkswagen in Europe, needs to shrink or close underused French plants to stem losses compounded by the weak domestic economy and collapsing demand in Spain and Italy, its other core European markets. In February, PSA and General Motors Co. announced plans for an alliance to build cars and share purchasing and logistic processes to drive down costs and potentially save at least $2 billion annually within five years, split about equally between the partners. Like PSA, GM is struggling in Europe, where demand has drastically declined during the region's debt crisis. With its shares trading at their lowest since 1986, PSA is freezing investment, selling assets including its headquarters and pursuing the GM alliance as it prepares factory cuts. PSA and Renault's combined French workforce has shrunk by one-fifth over four years to about 155,000. But the auto industry as a whole - including suppliers, showrooms and garages - still provides close to 10 percent of the country's private sector jobs, according to official data. Domestic production will dwindle, both carmakers say, until the government cuts employment taxes that have inflated overall labor costs to match Germany's. Marques like VW, Audi and BMW can stay profitable with higher payroll costs because they command better prices. Hollande has dismissed Sarkozy's campaign proposals for increased sales taxes to fund a cut in employer charges, reducing labor costs. Instead he wants to raise taxes on larger companies. "Labor costs are not the determining factor for French competitiveness," said economist Elie Cohen, an adviser to Hollande. "France has suffered the worst deindustrialization by far among western countries in the past two decades," Cohen told Reuters. "Everyone would have applauded if we'd replaced industrial jobs with hi-tech jobs, but we've replaced them with cleaning ladies." The French state has a 15 percent stake in Renault, but no holding in PSA. Renault, however, has moved more production abroad in recent years - a trend that has accelerated with a recent factory opening in Tangiers, Morocco. French sites accounted for 21.6 percent of Renault's global production in the first quarter, down from 24.1 percent the previous year. PSA's domestic share of production was 40.8 percent, up 3.3 percentage points. In small cars and subcompacts, which PSA still assembles in France, almost half its production capacity is idle, Barclays Capital analyst Michael Tyndall said. "The company recognize that reductions can't be avoided, but I struggle to see how it will get them past the unions," Tyndall added. Hollande is already under pressure from his core left-wing constituency. Aulnay workers picketing his pre-election debate against Sarkozy won the promise of a presidential audience early in his administration. "Monsieur Hollande gave us his word," said Bruno Lemerle, a CGT union official at PSA. "We expect him to keep that promise and throw the government's weight behind us, so that Aulnay has a future." Hollande's narrow 3.3 percent winning margin may herald a more cautious, centrist stance. He has so far stopped short of promising to keep Aulnay open. Much could depend on the ministerial appointments expected the day after his inauguration, and on the outcome of parliamentary elections in June. Few can imagine a return to the interventionism seen under President Francois Mitterrand, Hollande's former mentor, who nationalized swathes of the economy in the 1980s. According to the French press, Hollande has picked a Citroen DS5 diesel hybrid to ride to his inauguration on Tuesday. Hollande's choice of car, for one thing, is closer to Sarkozy's preferred Citroen C6 than the Renault Safrane used by Mitterrand during much of his presidency. Charles de Gaulle also travelled in the original DS - an iconic model bearing little resemblance to its modern-day namesakes - and survived a 1962 assassination attempt when a hail of bullets failed to halt the car.